Why: Several of my friends believe manicures are a weekly necessity. For me, they’re more of a bi-monthly luxury. And that means in between pampering times, I’m my own manicurist. 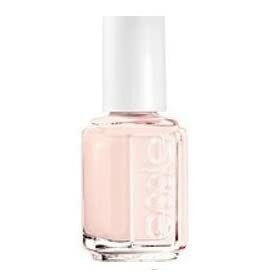 My summer secret is Essie’s Mademoiselle #384, a sheer pink polish that is chip-resistant and always goes with everything. It makes your nails look clean without being prissy, and the hint of pink is just a little better than clear polish. And when it does chip, the color is so sheer, you won’t need to hide your nails under your office desk until that next manicure appointment.